Mumbai Magic - Personalised Mumbai tours from people who know the city well, and love taking visitors around! 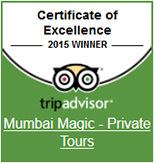 Welcome to Mumbai Magic, the best way to experience the city at your own pace! 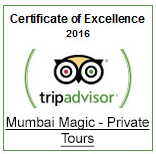 If you're visiting Mumbai on business or pleasure, but have a busy schedule, then Mumbai Magic tours are perfect for you. Mumbai has a lot to offer to visitors - whether it's shopping, sightseeing, dining, or experiencing the unique culture of this city. Squeezing it into a business trip is not easy - but with Mumbai Magic, you can now have the pleasure of a customized tour, at your convenience! Just pick the things that you'd like to do, and our experienced Tour Consultants will help schedule a custom itinerary that best suits you. Our Tour Guides are very knowledgeable about the history and culture of Mumbai. 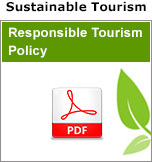 They also have a lot of experience with overseas visitors, so you'll find them easy to talk to. To help you decide what you'd like to do, we've put together a list of interesting things. If there's something outside this list that you want to do, just let us know, and we'll schedule it for you!